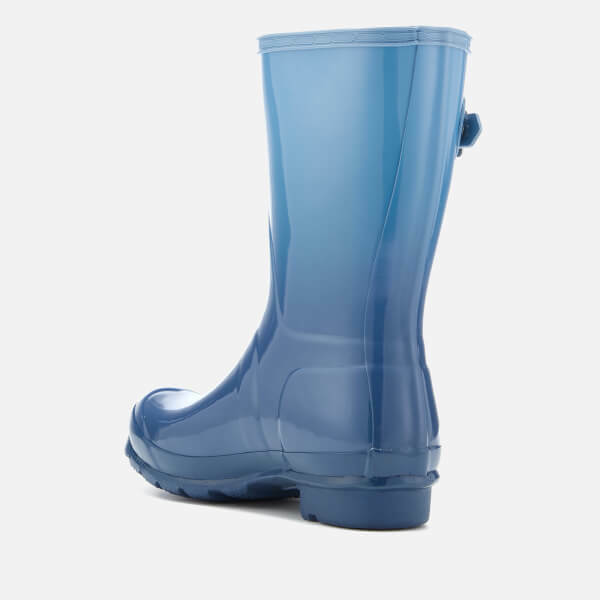 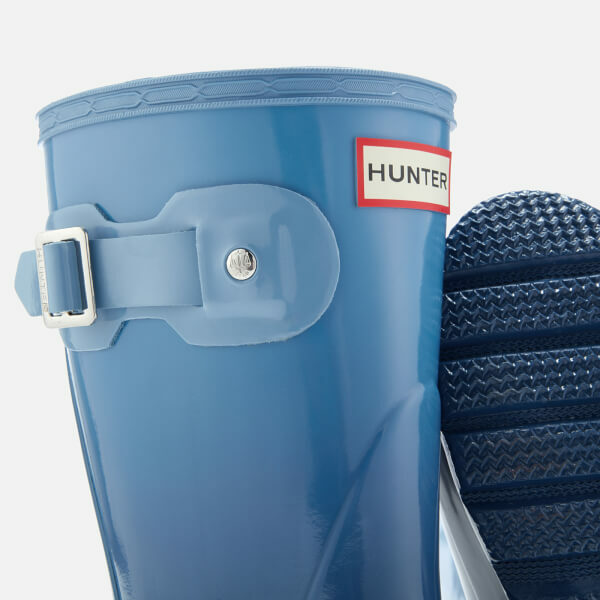 Women's short Hunter wellies with glossy finish and ombré design. 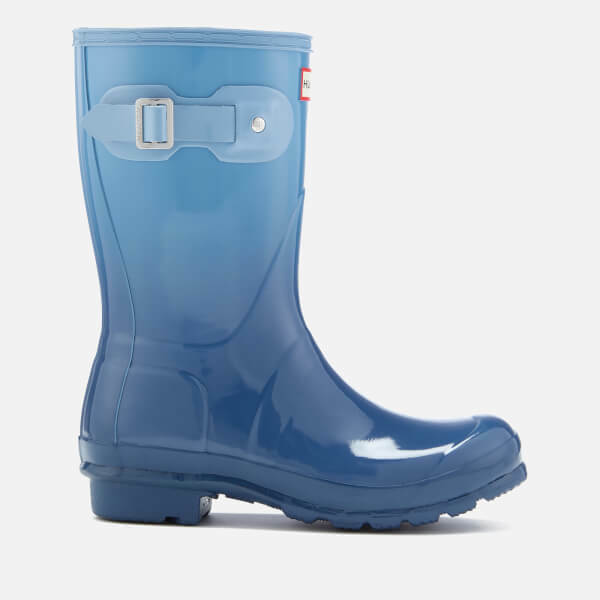 Handcrafted from 28 parts of natural rubber, the 'Original Short' waterproof wellington boots feature a rounded toe with signature moustache detail, and adjustable buckle to the shaft for a customised fit. 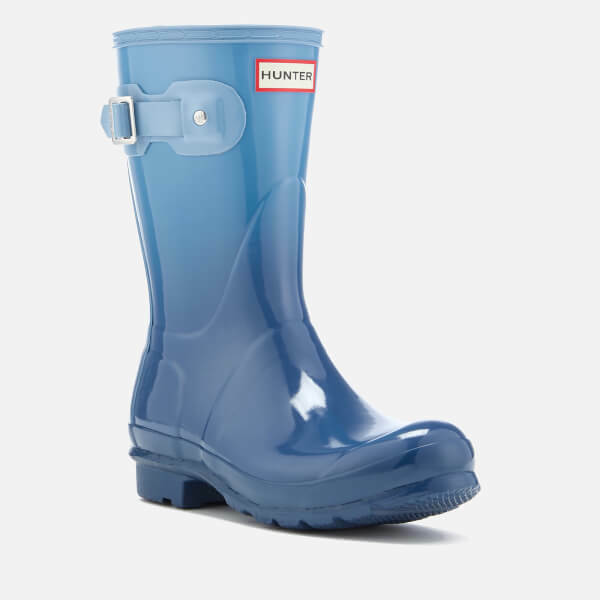 Set upon an original calendered sole and stamped with the iconic Hunter badge for authenticity.